If I’m being totally honest, this post has a selfish twist to it. You see, every year I have good intentions … but then it’s December 3 and I have nothing prepared and my kids are asking me each day if I “did the calendar”. We’ve had our large advent calendar for about 12 years, and I love it. And I hate it at the same time. I never know what to put in it, so I end up doing nothing or I resort to the obvious – candy/snacks/anything I don’t really want to give them. 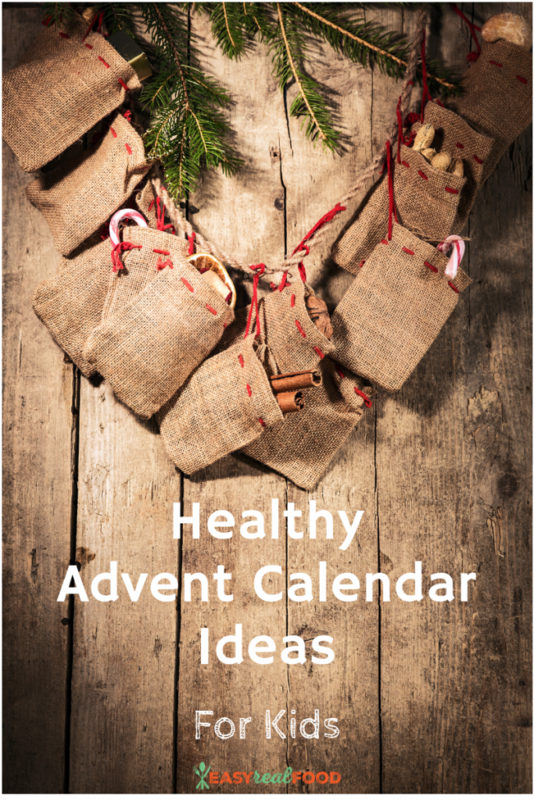 Fear no more, I’ve put together a list of healthy advent calendar ideas for the both of us. We can do this!! Get started today and you’ll be set for December 1st when it gets here. Oh, and if you need suggestions for an advent calendar, I’ve included them in the post towards the bottom. Let’s get started! Mini Go-Macro Bars – One of my favorite bars was just released as a mini. Can we say LOVE?!! So cute and tasty, too! NuttZo Smooth Organic Fuel No sugar added, no peanuts, but chock full of 7 organic nuts and seeds. Talk about a protein pop! These are super fun for lunchboxes or on-the-go. Enjoy Life Mini Chocolate Chips – Because who doesn’t want to snack on chocolate chips?! I know I do, and this is always the brand that I buy. If you need allergy-friendly dark chocolate sun cups, Free2b is free of the top 12 allergens and are tasty, too! Starbucks – Really; need I say more? Get a gift card to put in your advent calendar, and (weather permitting), take a bike ride or walk up to enjoy the drink or treat of their choice. Hot chocolate is always a welcomed treat! Chocolate-covered Almonds – Chocolate that they want + the plant protein that they need. Paleo Valley Grass-Fed Meat Sticks – A healthy snack for on-the-go that my family loves! I love when we can incorporate some fun, active ideas to the list. Sure, food is nice – but making memories are the best in my opinion. Take a stroll around the neighborhood to see the lights. Get some fresh air and exercise together! PS – flashlights make this one even more fun:). Make muffins with mom (or dad). My kids are always up for some baking time together! Need some inspiration? Here are two ideas: Gluten Free Carrot Coconut Muffin or Pecan Pie Muffins. Check out Freeform’s Kickoff to Christmas and pick a night to watch the movie together at home. Love inexpensive activities! Pick out your Christmas tree. Okay, so this is really sorta an excuse for filling a day – but it is an exciting activity! Research some of the best lights within a certain distance and drive to see some of them. Don’t forget to play the tunes in the background! Tickets to an event. The Nutcracker is one of our favorite performances; I generally get tickets anyhow, so of course they go into the calendar. Another day down! Pajama Day. Simple, but oh-so-good. Go see Santa. If you haven’t already, this one is definitely calendar-worthy. We’re old-school and still go to the mall to see Old St. Nick. How about you? 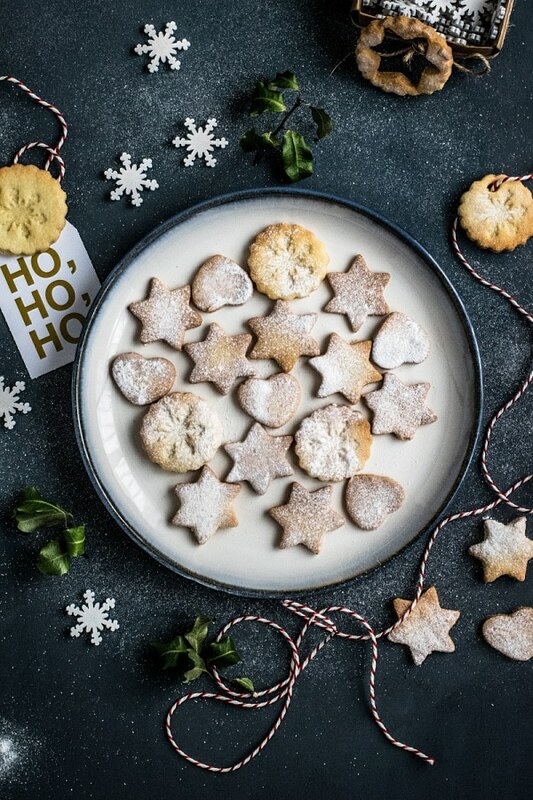 Make cookies for Santa. This one should be within a few days of Christmas, naturally, but always a fun experience in our household. Make snowflakes, string popcorn (or any fun Christmas craft that we did as children) and decorate the house. Read a Christmas book together. Clean out your toys and donate them to those in need. Teens and adults; clean out your closet and do the same! These are the best, too – not to mention, they are easy to coordinate! Get out some markers/fun pens and cardstock and simply write these out, and fill up a day. Simple! Gift your teacher with a cup of coffee (or a VIA Instant, or even a gift card to Starbucks). Do a chore for someone in your family. Write an anonymous nice note to someone. Sit together as a family, and give every person a compliment. Pick up trash in your neighborhood, at your school, or at a local park/greenway. These little Lunchbox Love Notecards already have the work done for you, and are the perfect size for advent calendars. Balloons – I swear my 7 year-old can entertain himself for days with these. Ohh the activity ideas are spot on! Great idea! And the fun treats are so great too! Thank you! Ooh love this! 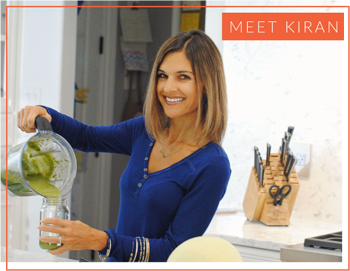 Activity ideas are so fun and love the healthy treats instead of the not so healthy ones! I so agree! The first year that I did them I thought I’d get backlash – but my kids totally enjoyed them. Hope your loved ones do, too! This is so adorable and inspiring!! Pinning! What a loving idea and special season! These are SO CUTE !! 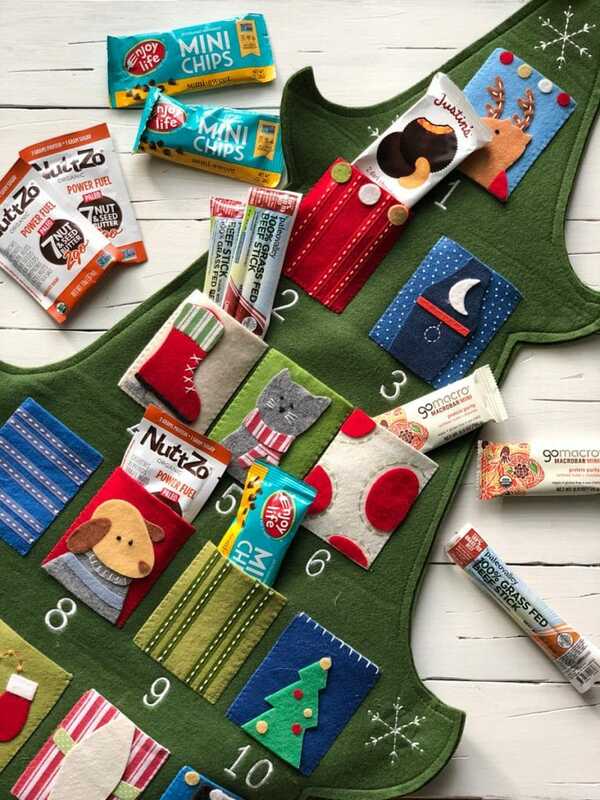 I especially love that Christmas tree with all the cute pockets! The calendar is just fabulous! So creative. Love your ideas. Healthy treats, tickets for Nutcracker, and other ideas are all fabulous! Love the gift of time together !